Artwork by senior art student, Sam Nelson. In the beginning of February 2018, Lake Shore students taking upper level art courses had the chance to show their work at Albright Knox Art Gallery in Buffalo. This was their chance to show all the hard work they’ve been putting in over their high school careers and to promote the Lake Shore Art Department. Artwork by senior art student, Sara Ricotta. 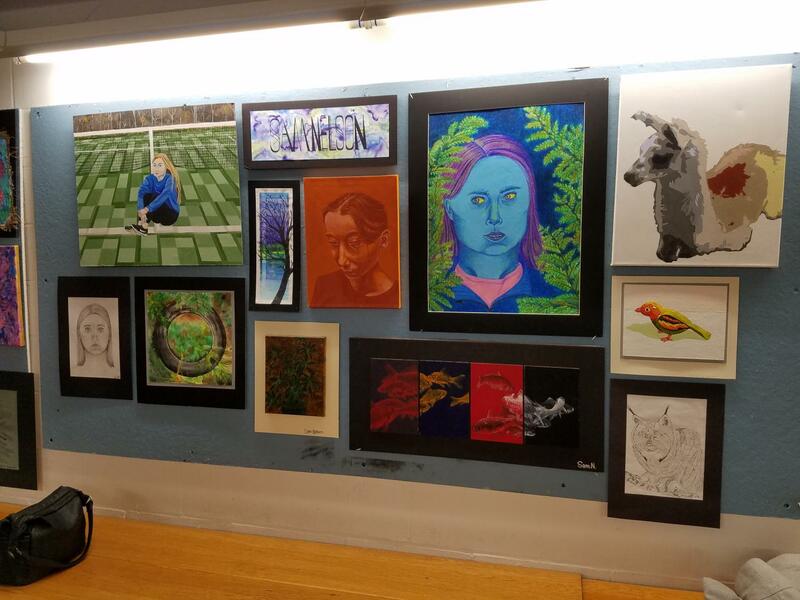 In total, there were 27 seniors and juniors that displayed art. 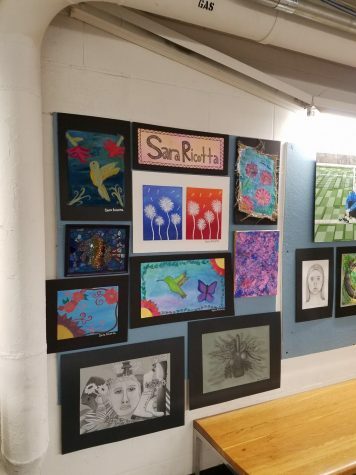 Each student got a panel on the wall to fill with their art that varied in size based on the size of their art and went from the floor to the ceiling. Students had to go through an intense selection process and choose only their best art that displayed advanced techniques. Once they chose their art, they had to matte, frame, hang and spatially organize how they wanted their art to be displayed. The process was so involved, they started it in October working with a variety of art forms from sketches to portrait paintings that are realistic and show such detail. In addition, there were sculptures and physical art pieces that wouldn’t fit on a wall throughout the hall. All these students put a lot of work in and were really excited to share it with the community. Their art was on display until the end of February break, so unfortunately it is no longer available for the public to see. However, for people still interested in the arts, the gallery is open everyday except Monday 10am – 5pm, and on Fridays, admission is free and open 10am – 10pm. Is Vaping Really Worth It? End of School, or is it?